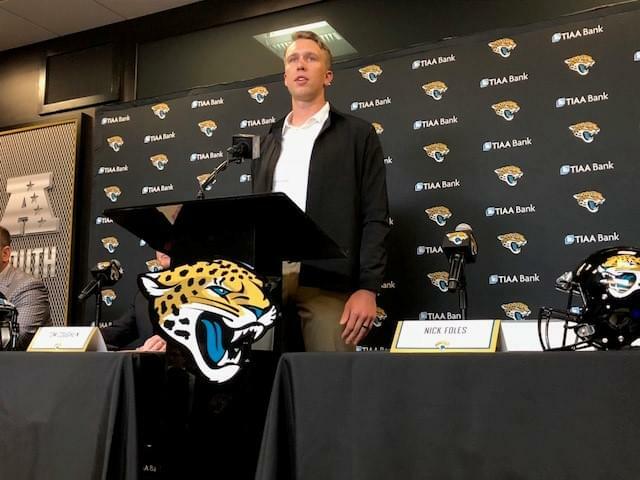 The Jaguars made a big splash last week signing former Super Bowl winning MVP Nick Foles to a four year, $88 million contract. Former Jags quarterback David Garrard joined “XL Primetime” on 1010XL to discuss the Foles signing. “Honestly, he was the guy that I was expecting them to go get and the guy that I was hoping they would go get,” Garrard told 1010XL. “He’s someone that you can put right in with what he can do. Garrard knows what it is like to go from backup quarterback to the face of a franchise in the blink of an eye; he was asked what that transition will be like for Foles. Foles reunites with his former quarterback coach in Philadelphia, John DeFilippo, who is now the offensive coordinator here in Jacksonville. Garrard talked about what Jaguar fans can look forward to with the Jacksonville offense this upcoming season. “You’re going to see a lot of movement and you’re going to see guys put into positions that makes them successful and puts them in a place where they have the advantage with the matchups,” Gerrard said. “These guys are creative and with today’s football you can do so much more now and as long as you have that creative mind, which I believe DeFilippo has, then you can make guys successful because you can scheme them into a successful play. Finally, Garrard was asked his opinion about Blake Bortles who was cut last week and recently signed with the Los Angeles Rams and how fans in Jacksonville will, and should, remember him. “It’s really going to be an up-and-down memory,” Garrard said. “That run they had two seasons ago, who saw that coming? We know the potential was there with Blake, but we just had too many down games and too many down moments where it made it hard for us to root and pull for him. “I know he has the potential and I know it’s there. He just needs to rededicate himself and take this time to learn to be a better quarterback. That has happened to quarterbacks in the past. It’s just going to be all about how much he is going to put in and how much he is willing to grind.